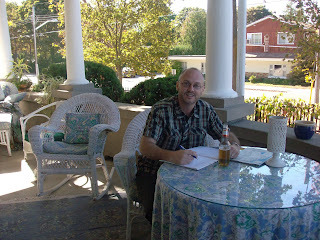 As I write this, I’m enjoying a beer and gorgeous weather on the verandah at Chantry Breezes Bed and Breakfast in picturesque Southampton, Ontario. After all, you can’t rough it all the time. 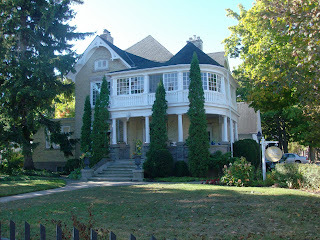 Owners Don and Jenny Amy purchased this spectacular home in 1999 and have lovingly renovated it, ensuring key details such as trim and baseboards are authentically reminiscent of the era of the house which was built in 1907. 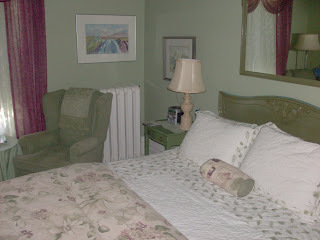 The accommodations are beautiful, the breakfasts scrumptious and the hospitality friendly and accommodating. The first morning’s breakfast featured maple poached pears, cheese and tomato frittata with ham and toast and perhaps the best blueberry muffins I‘ve ever tasted. 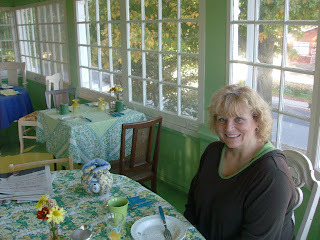 The second morning’s pancakes with locally made sausage were great as well. 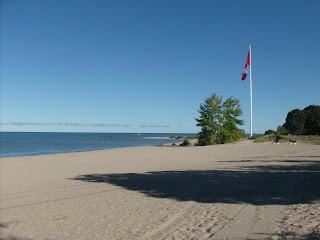 Steps from the Lake Huron shore and a short drive to Port Elgin and MacGregor Point Provincial Park, Chantry Breezes is an ideal location from which to explore the area. Next week, back to park and camping reviews.